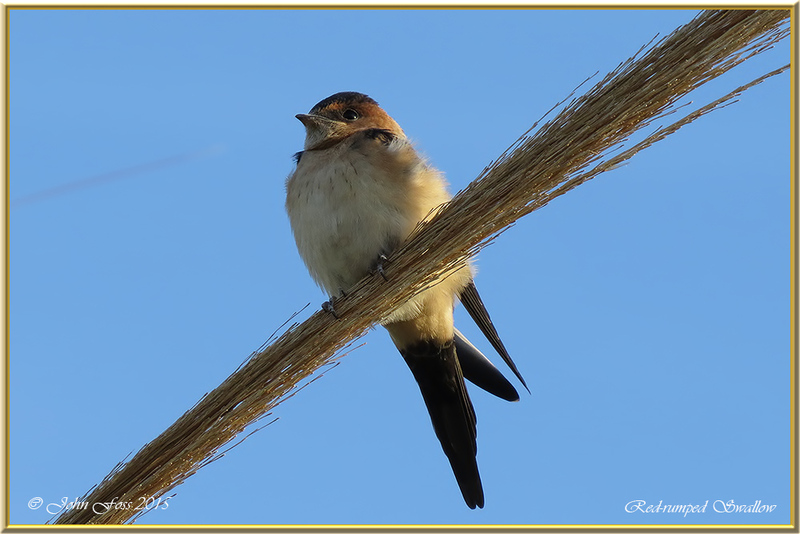 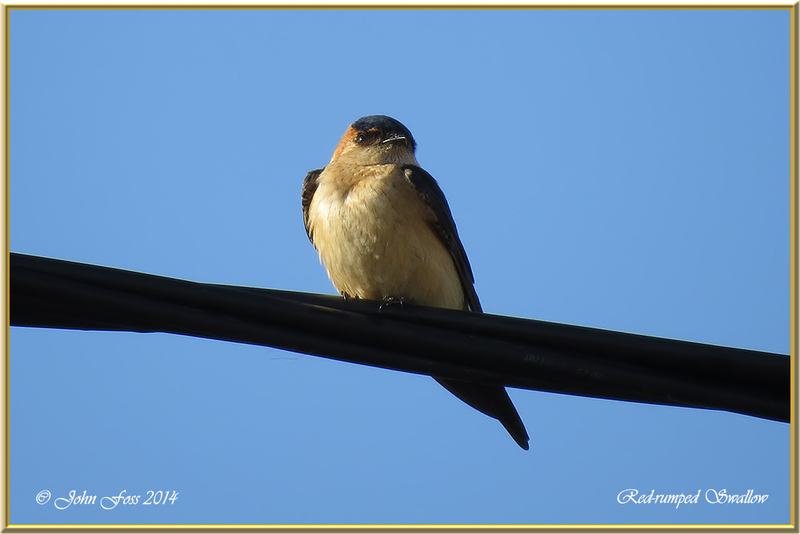 Red-rumped Swallow - These swallows are very similar to our own Barn Swallows, but are darker below and have pale or reddish rumps, face and neck collar. 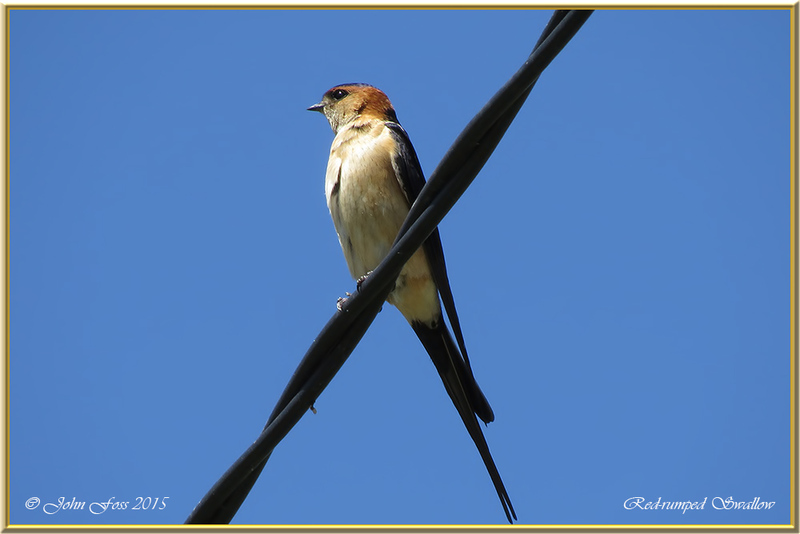 They also winter in Africa as our own swallows do. 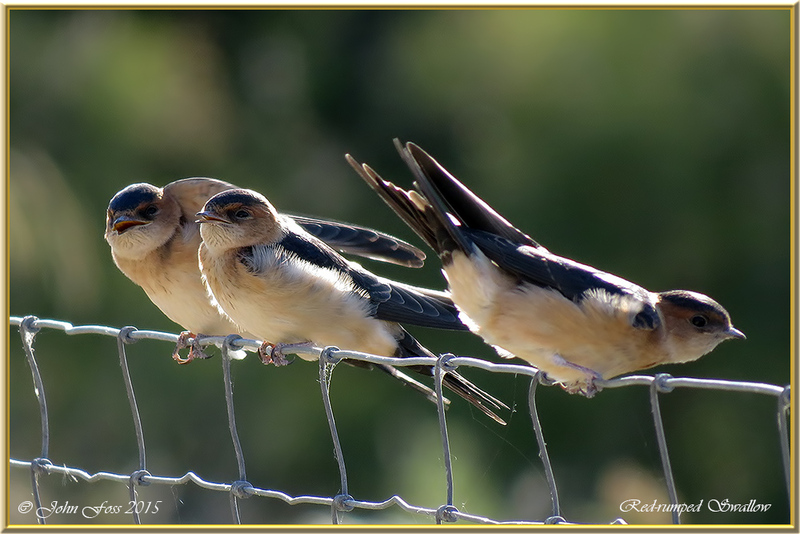 They breed across southern Europe. 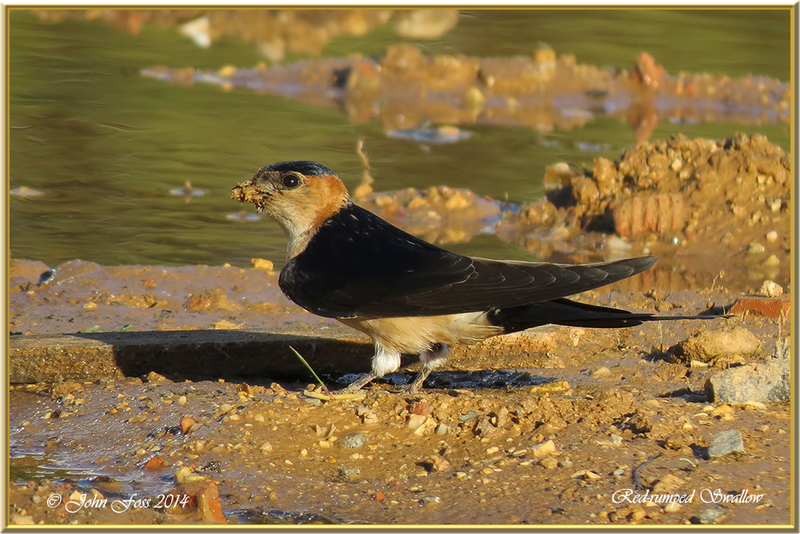 They build nests with a tunnel entrance lined with mud. 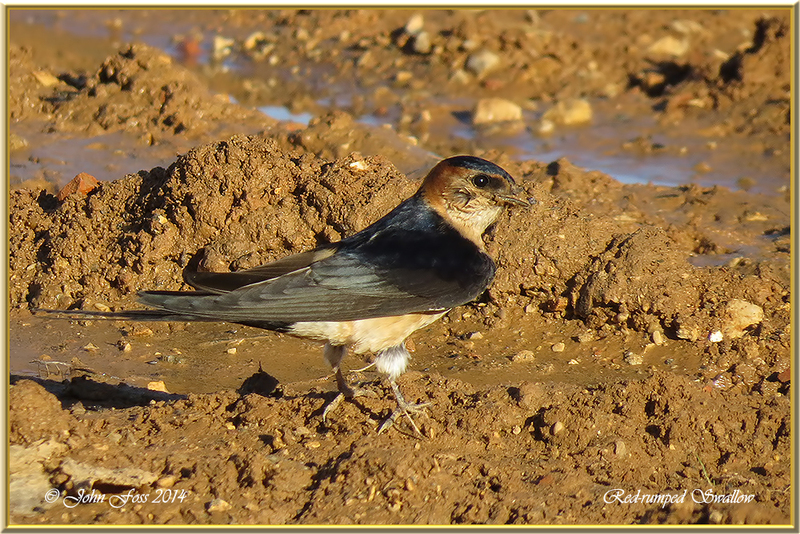 I came across these birds in the Algarve collecting mud for nest building alongside House Martins in Praia Da Rocha and Cabanas De Tavira in Portugal.